When anyone becomes the owner or manager of a small business, he or she instinctively knows that keeping a good set of books and keeping them up to date is imperative to maintaining business success. Current accounting records are required to run payroll, to manage and remit timely sales tax payments, and let’s face it, the Canada Revenue Agency is patient, but they can only be so patient when it comes to a business’s year-end and tax filing. Tax records that are thrown together quickly at year-end often don’t satisfy the needs of CRA, nor is this the best solution for the business owner, as there’s no telling what might be overlooked, omitted or miscalculated; all issues that may prove costly for the business owner down the road. What happens however, in many cases with new businesses, is that the business owner or manager gets so focused on what they’re good at (and that’s not a bad thing; it is after all, why the business person went into business in the first place!) and the records start to fall behind, and that is not such a good thing. Tax filings get miscalculated, estimated, or completely overlooked, causing unnecessary and expensive late filing fees and penalties. Furthermore, the business owner has no gauge by which to measure his or her business’s financial well being. Year-end tax preparation is obviously a key reason to maintain a detailed set of accounting records, but other reasons are just as important. How much money is the business bringing in vs. what is being spent? How is the business performing against industry standards, and where might the business owner wish to make changes to improve efficiency and profitability? How is the business doing compared to a prior year? Another reason to maintain current financial records is to be able to provide up to date financial statements to a financial lender who might need to evaluate the qualifications for business lending. An alarmingly large percentage of small business startups do not employ either full or part-time accounting help, opting instead to “go it alone” in hopes of trimming that bit of overhead cost from their profit and loss statement. And going it alone may indeed save money, at first, but most times, the business owner or manager is either too busy with other facets of their business or just too under-qualified to be maintaining a quality set of accounting records for their business. Over time, this can be a recipe for disaster, and can even spell failure for what could have been an otherwise sound and ongoing business. This is where a quality bookkeeping firm (like Venture) can help the business owner reap dividends. They can help you select and set up the right software that will work for your business, advise on processes that will work efficiently and make sure the day-to-day and month-to-month tasks are looked after, to satisfy you as the business owner, outside tax agencies like Provincial Finance departments, Workers Compensation and Canada Revenue Agency. They can look after payroll needs, ensuring employees are paid on time and that monthly tax filings are up to date and accurate. 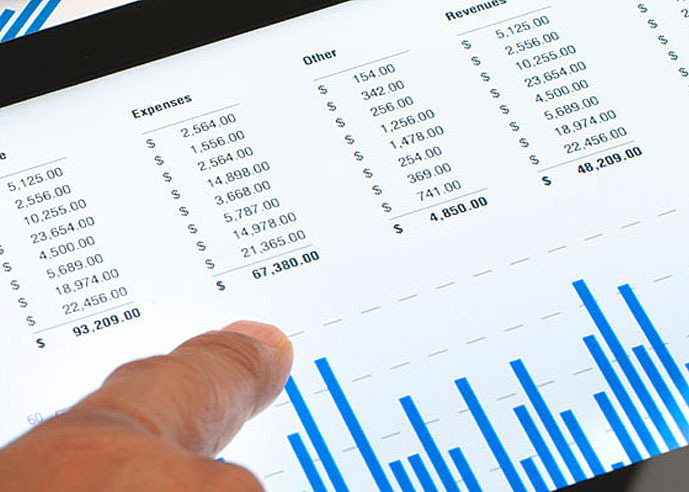 They can prepare financial statements and reports to help the business owner evaluate their own business success and possibly make changes for further success down the road. If the above perhaps sounds like you and your business, and you feel it may need the assistance of bookkeeping help that may help remove that gray cloud of discomfort from over your head, please contact us! We would be happy to consult and engage with you to find solutions that will work for you and your business. And we don’t just work with new business start-ups; we have substantial experience in business accounting records “rescues”. We’ve seen it all, and we can help turn a disaster back into a good thing. We do this with empathy and without judgment. This is what we do. Our business is your business!